What is there not to love about this invitation, completely fell in love with this design, which is so sparkly! A perfect choice to add glamour to your wedding stationery, the oversized, hand tied bow gives this Collection a splash of colour to match your colour theme. 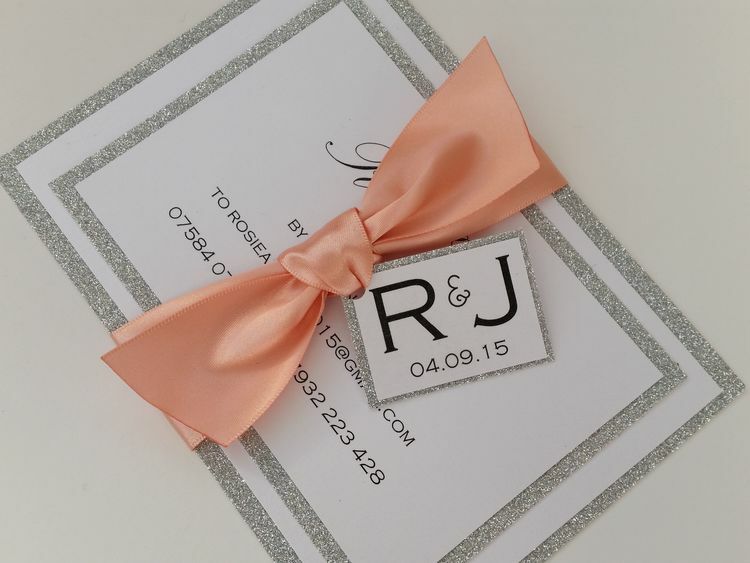 The design can be slightly altered, as can the ribbon width and glitter card (there are lots to choose from! ).